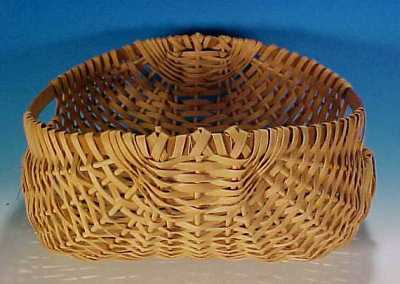 Traditional vintage woven POTATO BASKET or EGG GATHERING Basket hand crafted of round and flat reed and signed and dated by the basketweaving artist, Kathleen Becker of Simply Baskets and dated 1997. 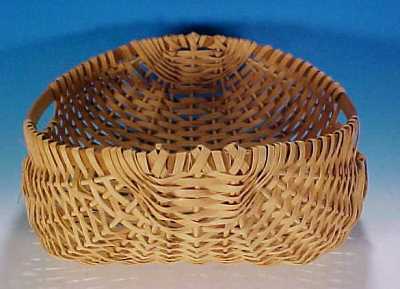 Woven Potato Baskets are used to store and display fresh potatoes on counters or in pantries. 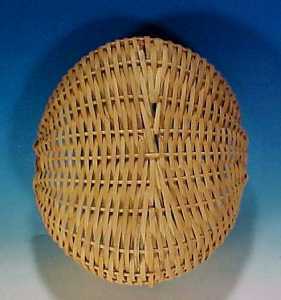 Potato baskets are traditionally designed to be of an oval shape, shallow and sturdy. Could also be used as a woven egg gathering basket as it's low design lends itself to keeping the fresh eggs tightly nestled into the base. 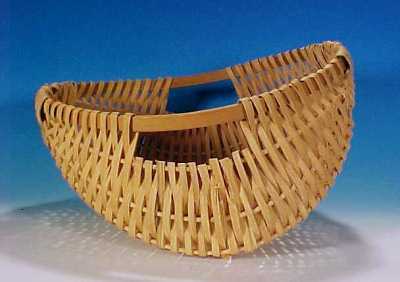 This vintage woven potato basket or egg gathering basket was hand woven using traditional reed materials such as the round reed for the staves and flat reed for the weavers. A semi-God's eye was woven into the sides and the hardwood frame which is traditionally an unwoven area is used as handles. 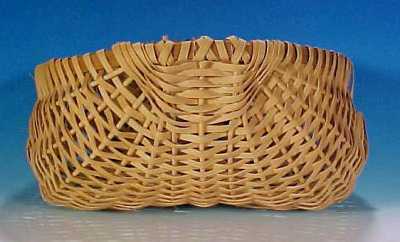 A hardwood frame was used to construct this potato basket and is incorporated into this potato basket as the rim. Tight weaving with no breaks or other damage to note. 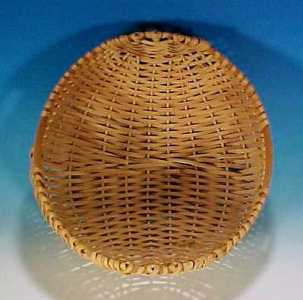 This vintage woven potato basket or egg gathering basket measures 12.5" in diameter and 6" high at the basket rims. Natural mellow patina with no stain or other finish. Will darken over time with exposure to sunlight, usage and age.